All great people are fearless. Is it something they’re born with? Is it that they’re just not afraid of anything? Is it that they’re perfect and therefore have nothing to fear? Or is it that they have a better understanding of fear than most, and know how to deal with it? In my opinion – it’s the last answer. EVERYONE experiences fear. Because let’s face it – no-one’s good at EVERYTHING. Everyone has something that they struggle with, something that others can do better than them, something that might even seem ridiculous to others, but evokes feelings of dread in themselves. Fear not (aha!) – no matter what your fears are, there are ways of dealing with them, because guess what? In which case, what’s the point of having them in the first place? Interestingly, our brain is only trying to help us when it creates a fear response. It ‘s often planning a ‘worse case scenario’ to prepare us for all situations. But it can be common for us to get into a habit of over-analysing and worrying more than is necessary. So, we all experience fear, but are we aware just how much It’s affecting our lives? The truth is, our fears may have limited us in many ways that we’re not even aware of. Have you ever stopped yourself from applying for a job due to fear of failure? Have you ever stalled on a creative project because you worry what people will think of you? Have you ever kept quiet at work because you fear that what you say will be judged? Have you ever avoided approaching a potential partner just in-case he or she doesn’t like you? What’s interesting about fear is that it’s completely unjust. If you take the above scenarios, what difference would it have made if you had taken action? For example – you go for a new job. Worse case scenario is that you don’t get the job – you’re still back to the original situation of looking for a job! Nothing has actually changed! Ask yourself – what’s the worst that can happen if I do this? If you know someone who would find this article interesting then share it! 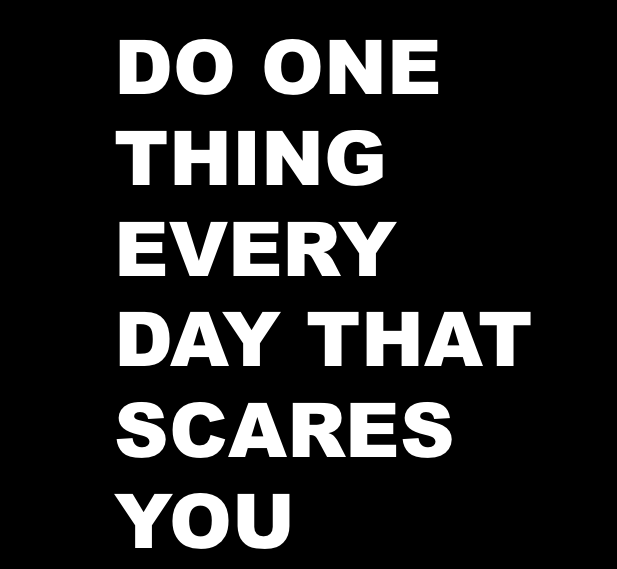 If you would like one-on-one help with a specific fear, contact me to find out how a coaching program could help. naturally like your web-site however you need to take a look at the spelling on quite a few of your posts. Several of them are rife with spelling issues and I in finding it very troublesome to tell the reality on the other hand I’ll surely come again again. Nice! This is very useful. I could use this right now! Thanks!